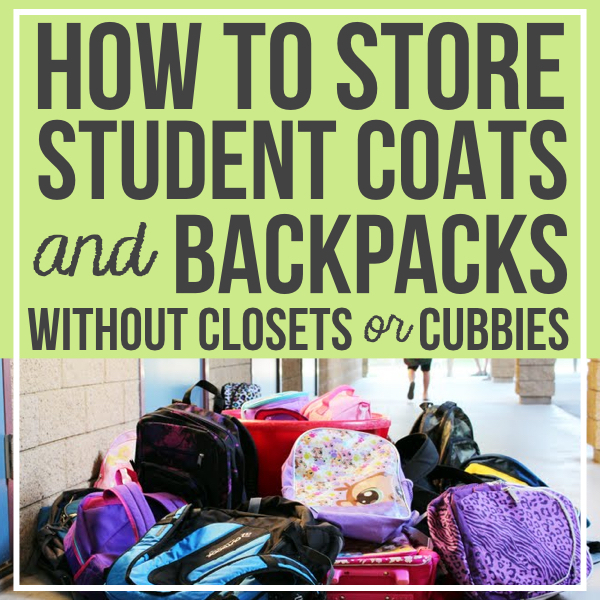 Especially during the colder months, student backpacks, lunchboxes, coats, snow pants, gloves/mittens, hats, scarves, and winter boots are stuffed into the small space (lockers, cubbies, hooks, coat closets, etc.) you designated for their personal items. This space is an ideal location for germs, lice, and bedbugs. 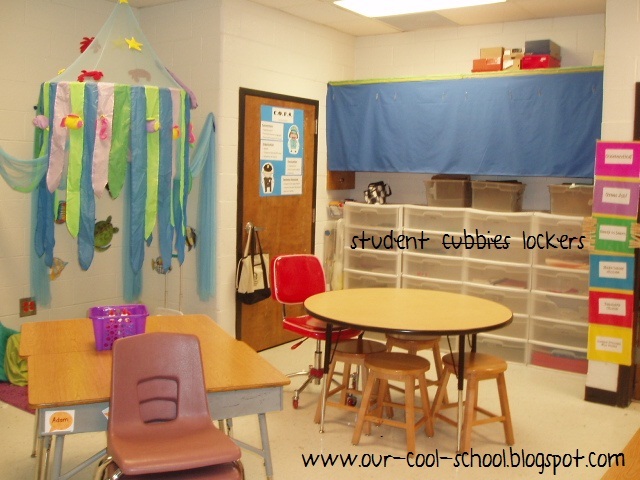 Read below to find some helpful ideas to consider as you set up your classroom. What is a storage system for student belongings? Student belongings bring the following to school: backpacks, lunch boxes, sneakers for gym class, rain coats, winter coats, sweatshirts, snow pants, gloves/mittens, hats, scarves, rain boots, winter boots, and umbrellas. That is a lot of stuff! As a result, we need a storage and organization system to house all of these items. What is the purpose of a storage system for student belongings? 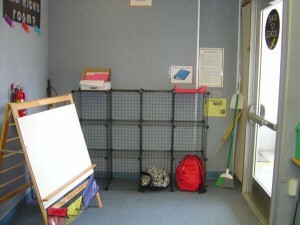 The purpose of a storage and organization system is to eliminate the clutter of having student belongings scattered about the classroom; make it easy for students to retrieve their things if they happen to be dismissed early; create a systematic and expected routine each and every morning that helps get your day off to a smooth start; and teach the children about being organized without them even realizing it. Safety: Follow your school’s fire codes when choosing a spot to ensure the safety of your students. Accessibility: Make sure your students are able to access their items both independently and with ease. 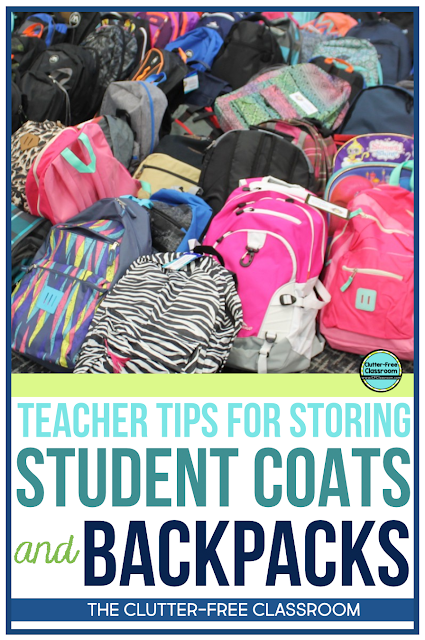 Seasonal Items: Your students’ items may fit great in the space you provided at the beginning of the year, but will everything still fit when the weather grows colder and their personal items multiply? What furnishings and supplies do I need to set up my student belongings area? A way to label the organization system (printable labels, paper, tape, black marker) and one of the following: Crates, command hooks, or plastic storage tubs. What if there is no storage space for student belongings in my classroom? Plastic Storage Tubs: Purchase storage tubs (the kind that have covers and can be stacked). Get the solid color to limit visual clutter within the classroom or clear to make it easier for friends to find what they need. 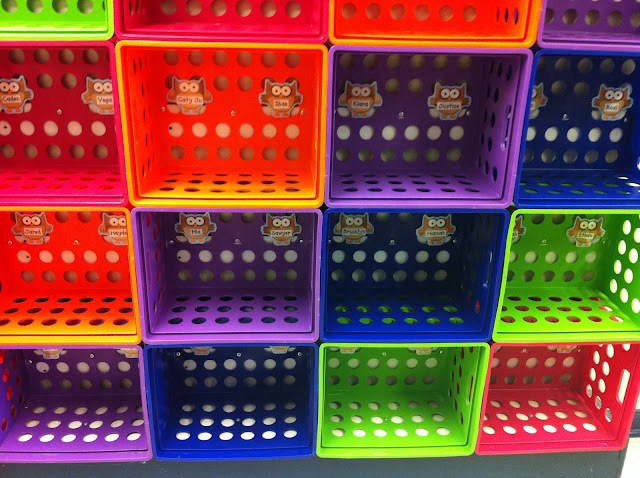 Label the tubs with either student names or student numbers. Assign 3 or 4 students to each tub. In the morning, place the bins with the lids off in different areas around the classroom. The reason for spreading them out is to help with traffic flow and limit clusters of friends talking while they wait. Students take out what they need for the day out of their backpacks and put the rest of their belongings into the the tub. Assign a couple of friends the class job of putting the lids on and moving the bins to the back of the room where they will be lined up and stacked. At the end of the day, those same helpers are responsible for putting the bins back into their designated spots around the classroom and removing the lids. 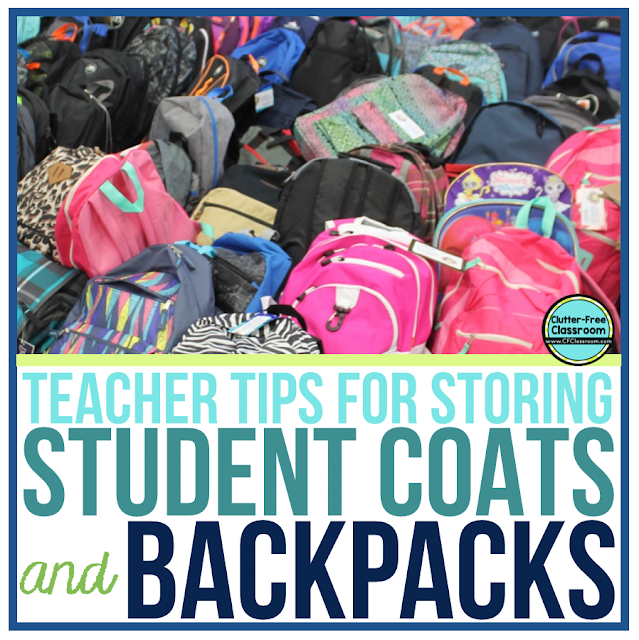 This routine makes it so all students know where their belongings are. Command Hooks and Crates: Purchase stackable crates and command hooks. Find a wall that has some free space. Hang command hooks on the wall about 1 foot apart from each other. Label the hooks and crates with either student names or student numbers. What safety precautions should I take into account? Make sure you do not block any doors or windows when choosing a spot for student belongings. Check your local fire codes to confirm you are in compliance. What other tips and ideas should I consider when setting up storage for student belongings? Home of Smokers: If you have a student who comes from a home where smokers live, his backpack and clothing will likely have a heavy odor of smoke. If this is the case, you may want to avoid using the predetermined numbers and just put students’ names on the bins. Without drawing attention to the specific students, you can create a bin for students that this would apply to. Lice and bedbugs: This was never an issue in the schools I have worked in, but it may be something to consider. If this is an issue for you then I think it would still be an issue if all 30 students were cramming their belongings onto closely spaced hooks. I think what I would do is get a class set of the XL4 Ziploc Bags or add them to the student supply list (they are about $2.00-3.00 a bag), have the students first place their belongings into their own bag and then into a bin for out of the way storage.